This is a collection of a few images, none of which had its own posting in January. 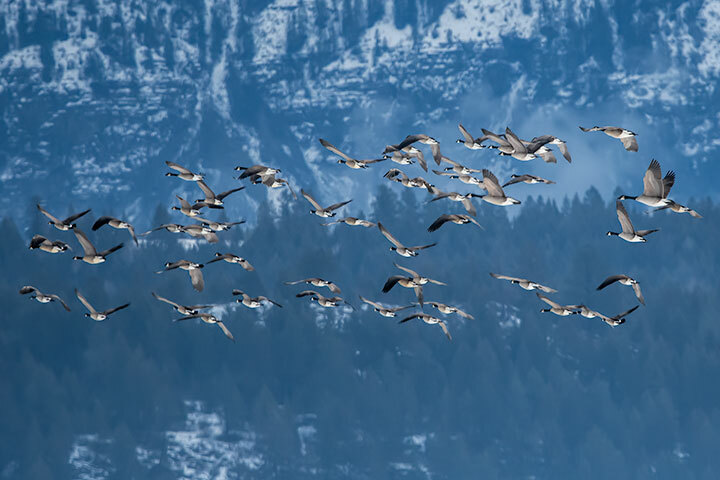 A flock of geese is seen flying in front of the Purcell Mountains. 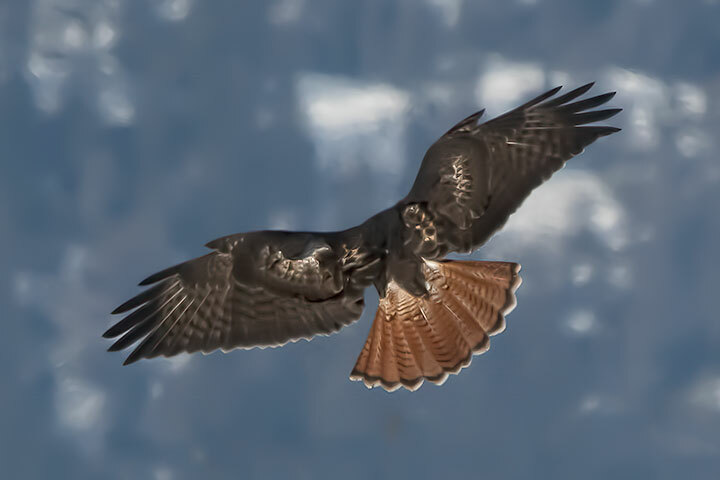 In case anyone wondered why it is called a Red-tailed Hawk…. This is a rarity: a visit of a Pacific Loon (in non-breeding plumage). 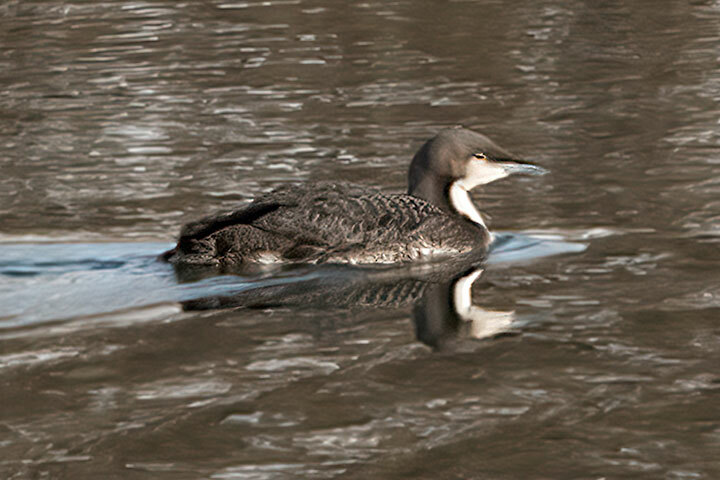 This species is not the same as the Common Loon frequently seen around the Lake. 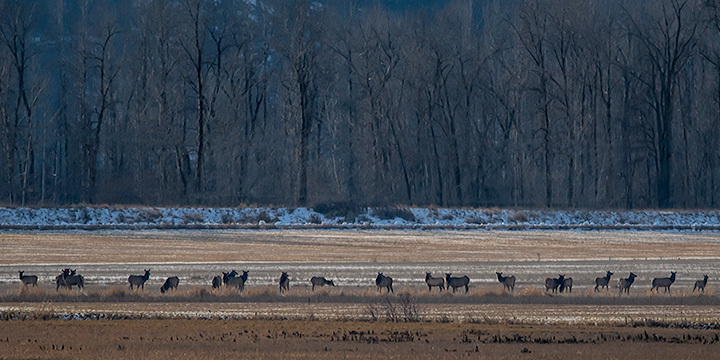 These are a few elk out of a much larger herd. 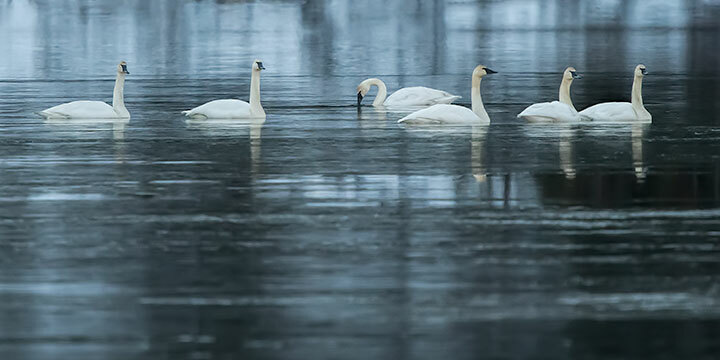 Six Trumpeter swans visit the West Arm with three days left in the month. 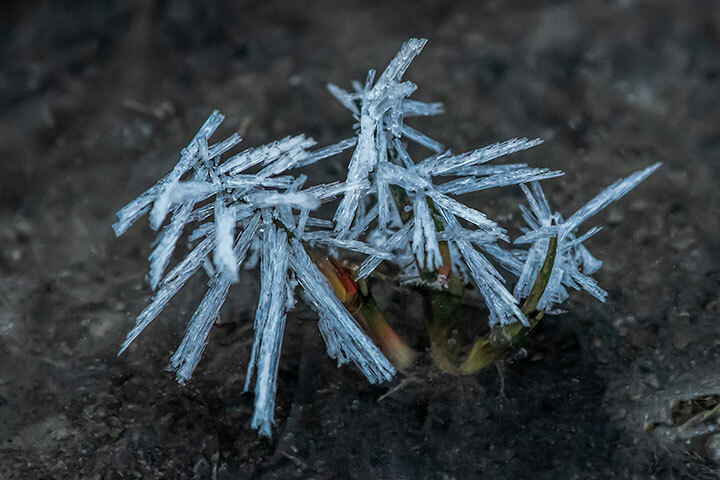 These are frost flowers. 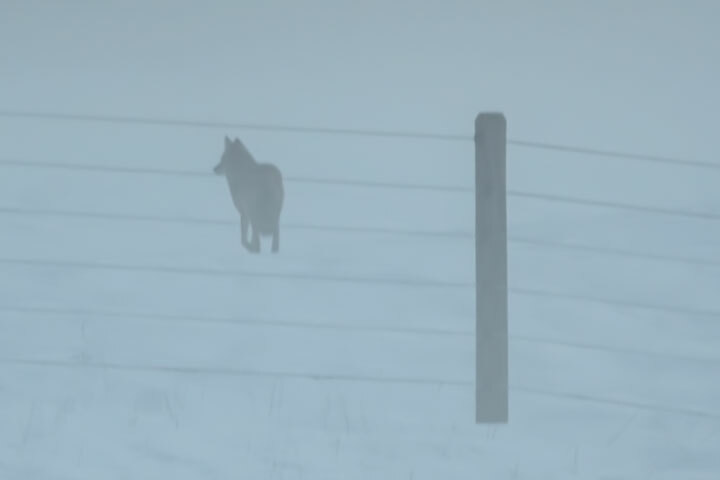 This type of frost does not result from vapour cooling, but from vapour mixing. Rather than blanketing ice crystals over the surface, it prompts isolated patches of crystals floating above the ice alongside the Lake. This entry was posted in birds, mammals, weather. Bookmark the permalink. What leads you to believe it’s a Pacific as opposed to a Common Loon; the size? The plumage is very similar, I study what I believe is a non-breeding Common Loon every day on Lake Roosevelt, near Coulee Dam, WA, I am just curious. Ken, Pacific was the first choice of Cornell’s Merlin (bird photo id); Using Sibley’s, the distribution of white matched the Pacific, but not Common; An experienced birder I know, saw it the next day and promptly identified it as Pacific. We occasionally get the Pacific Loon here. Last year we saw one in its breeding plumage. Many thanks for sharing all these pics with us. I enjoy your blog each week in my Saturday blog visits.